Hello everyone! 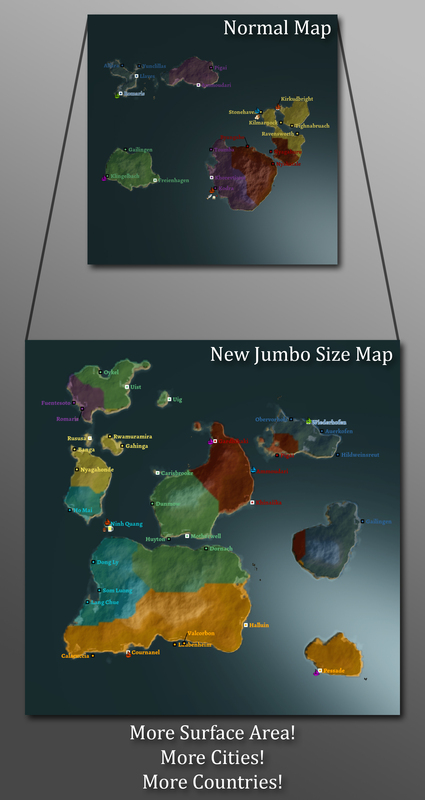 Just wanted to let you know that the next release of Winds Of Trade is going to include a new "Jumbo" map size. Many of you have been asking for bigger maps, with more cities, more countries and more business possibilities... So we're going to deliver just that! It's still being tested and not ready to be released yet, but we're confident we can fix the remaining issues (mainly performance ones) and ship this exciting feature in the next update! Adjustments to how supply, demand and prices work in order to make it more realistic. Make decisions over how production buildings work once you've acquired more than 50% of their shares in the market. UI Improvements, such as showing warehouse contents and the ability to filter by a specific industry in the Cities List. More interesting revenges and sabotages when you fail Smuggling Contracts.